My Nan, who lived at Belle Vue Cottages at the top of Bear Road, told me that my paternal great grandfather, a master builder, worked on the building of the workhouse at Elm Grove. In the course of its construction, he was able to acquire enough materials to build the eleven cottages, one of which she lived in. 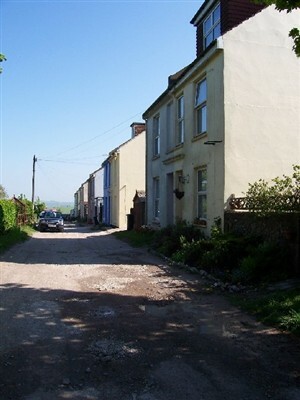 At the far end, three of the cottages were sold to the Hillman family. This page was added on 19/12/2008.